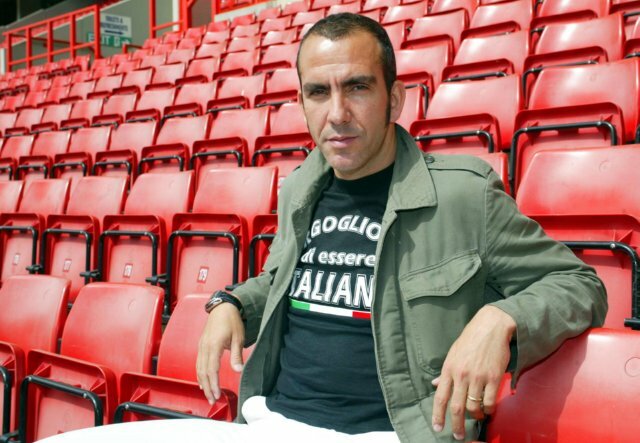 Swindon Town have confirmed that everybody’s favourite footballing fascist, Paolo Di Canio, is all but set to take over as the club’s new manager – with an official announcement scheduled for later today after the club get round to dotting the T’s and crossing the I’s on the Italian’s contract. The Swindon job represents Di Canio’s first coaching role since he retired from the game in 2008. Town themselves have been without a full-time manager since Paul Hart departed in April after the club were relegated from League One. There were rumours beginning to circulate that Di Canio was holding out for a return to Upton Park after the West Ham job was freed up at the weekend, but let’s be realisitic – Paolo may be loop-de-la, but he’s not certifiable, not quite. Expect a focus on the right wing at Swindon next season, then. Boom boom. secondly, expect him to be heil-ly popular…ZING! Di Canio is a former Lazio Ultra and Fascist. I think he will do a fantastic job at Swindon Town.